Why be part of your local music community - which includes your local retailers? What does it mean to have your very own "sheet music specialist"? Watch Glory St. Germain and Special Guest Elliott Wessel - Print Music Product Manager for Schmitt Music as he shares 3 Ideas on how your local retailer can provide you with amazing resources, including a "Music Specialist" and Professional Development Opportunities! Elliott Wessel - Print Music Product Manager for Schmitt Music. Elliott's talents include: Musician (multi-instrumentalist), singer, actor and expert in all things Print Music. Elliott has a widely varied background in retail, marketing, promotions, radio and theater, as well as music performance. Schmitt Music, family owned and operated since 1896, is based in Minneapolis and operates 14 stores in 7 states. Elliott's dedication to providing the best in print music and supporting musicians, teachers and students with continued resources is evident in his passion as Print Music Manager at Schmitt Music - Community Retailer. Explore the resources at your local print music retailer and join the Music Community. Elliott Wessel is Glory St. Germain's Special Guest on the Ultimate Music Interview Series. Glory: Well, hello, and good morning. Glory: I want to say a big welcome to my very special guest Elliott today. Why be part of your local music community, which of course includes your local retailers, and what does it mean to have your very own sheet music specialist? Well, you're about to find out. Yay. My name is Glory St. Germain from Ultimate Music Theory and my very special guest today and my dear friend Elliott Wessel is from ... Well, he is the print music product manager for Schmitt Music. Elliott has a widely varied background in retail and marketing and promotions and he's also a man of many talents, which I'm going to dig a little deeper into this, including radio and theater as well as musical performance. Welcome, Elliott, this morning. Elliott: Good morning, Glory. Thanks for inviting me. Glory: That was the right answer, morning Glory. Maybe before we start talking about you're a print music specialist and all the things you do at Schmitt Music, which I know has been around for many, many years. You've got I think 14 locations in seven states so you are a busy man. Can you tell us a little bit about your musical background and your performance? Tell us a little bit about that. Elliott: Oh, well, I come from a musical family. Good Minnesota German Lutherans, music was a part of everyday life and a big family. Lots of siblings, lots of cousins. My father was very musical, my mother was a piano teacher for many years and a church organist. Went to a parochial school where there was a lot of music. There was a piano in every classroom and a lot of singing. It was just part of day to day life. I took piano lessons. Not from my mother but I took piano lessons for a few years and I did school band. I played the tuba and the trombone. In high school I had picked up guitar and bass guitar and continued with piano through that and vocal singing of course. Musical background, musical family. Like I said, it was just kind of an everyday part of life. Glory: Wow. I think it's so cool that your position at Schmitt Music, which obviously is head of the print music department, but you bring not only a vast knowledge in musical print music but also just the experience as a musician. What kind of stuff are you looking for? How can I help you? You've had music teachers so you know what it takes to connect with them. I do want to welcome the guests that are joining us today, both live and those that are watching the replay, and maybe just share a little in the chat box what instrument do you play? Obviously Elliott plays a lot of them. We want to talk about what is your description that you would say what is having your very own sheet music specialist? Maybe tell us what is a sheet music specialist, Elliott. Elliott: Well, I think most retailers that sell sheet music and books will have some kind of a person dedicated to that product. Elliott: Put simply, we call them a print music specialist. A sheet music specialist is just somebody who knows the publishers, knows the products, is good with catalog numbers and mostly remembering what color things are. That's great. So many things in our world are color-coded, which is fantastic. Once you know your colors you're in pretty good shape. Glory: That's really funny. I remember when I was first publishing the Ultimate Music Theory series and I talked to people such as yourself and many other of my colleagues that are in the print music industry and they said, "Well, Glory, one of the most important things is that each book is a different color because people do talk about, 'Oh, Ultimate Music Theory, I want the yellow book." They do relate to the color and it's important that the print music specialist can have all that at their fingertips, right? Elliott: Yeah. I've done training with print music specialists and I always like to play that game What Color Is It? What color is book D? You have to know those things. I think all of our stores have a person dedicated to sheet music and books staff, whether it's a part-time person or a full-time person. We've always had that because that's such an important part of our business. You really have to think about it. If you're a teacher and you're using these products as part of your living you probably have somebody who does your hair and you probably have somebody locally who always works on your car and you always have a contractor who you like to use to come over the house and fix things. It's the same thing. There are specialists out there in your community and you should have one. Glory: That's really well-put I think because not only are you part of the local music community but I think when you're part of a retailer where you always shop I think it helps you stay connected to the community and you have so many resources too because you're providing more than just products. Tell us a little bit about some of the resources that retailers do offer such as Schmitt Music. Elliott: Well, first of all, I think most, especially the independently-owned, music stores in the country the people on staff have an educational background, they have bachelors degrees and masters degrees, and we even have people with doctorates here at some of our professional instrument shops. Elliott: There are people with knowledge and expertise that you can ask questions, ask for advice. I think even the most basic thing is to just ask what's popular? Elliott: Most employees, even if they aren't piano teachers or vocal teachers, they know what's popular because they know what they sell. It's pretty easy to direct people that way too. Just to get a feel for what people in your community are using. Elliott: It's different in every community. Our Minneapolis stores have a different assortment of sheet music and books in stock that our Sioux Falls, South Dakota store does or our Omaha, Nebraska store does because it is based on what the people in the local community are using. Glory: Right. I think it really gives teachers too because for the most part while you're getting musicians and teachers but they probably are looking for music in a different way. One might be selecting music for their classroom so they need to really know that there's going to be a continued method book that they can use throughout their classes and there might be a musician who comes in and just wants to pick up a jazz book and look for something with chords. Glory: I think have someone there that has that knowledge. First of all, you can get in, and you can get out, and get what you need in a hurry. I know that you offer more than just that information, though. You've got some new courses in professional development as well. Can you share a little bit about that? Elliott: Yeah. I think this is a resource that a lot of teachers miss, especially the ones who are kind of focusing on purchasing and interacting with people online is the workshops that the publishers provide, that retailers provide on their own. We do a lot of events in our stores that are free events and there's usually free stuff. Elliott: I think having the chance to meet and interact with composers and authors and creators personally is invaluable. Elliott: I mean, you aren't going to get that anywhere else. We do a couple of different things. Like every winter we do a spring recital workshop where we have Schmitt Music employees who have been doing it for years and years will sit down and play through all the new recital music that we can get our hands on and we try to time it so that it's at the time where people are starting to plan for their spring recitals and they just want to hear in person the new things. Elliott: We do those kind of in-house, multi-publisher workshops. We have our big expo event, which we've been doing for 82 years now. That's coming up. We do that every August and that's piano teacher-focused and also sacred choral music. It's a three day event. It's all free. You've been a part of that. We get people from all over. This year we have E.L Lancaster and Glenda Austin. Joyce Grill of course we have every year. This will be her 27th year of expo I think. Elliott: Then we're doing a full day with Jennifer Eklund and her team again this year and she's going to do a little concert for us. There's a lot of things like that that are available, they're free. They're really invaluable I think. Elliott: Then we also do publisher's concert workshops where they send somebody out and you can come in and hear their new music and interact with them. Glory: I think that's one of the key things too, Elliott, is that it's having an opportunity to connect online such as Facebook and forums and groups and things like that is awesome but there is a whole other level of engagement and community when you can actually connect with people in person and actually hold the book in your hand, go through it, look at everything. It's a completely different experience. 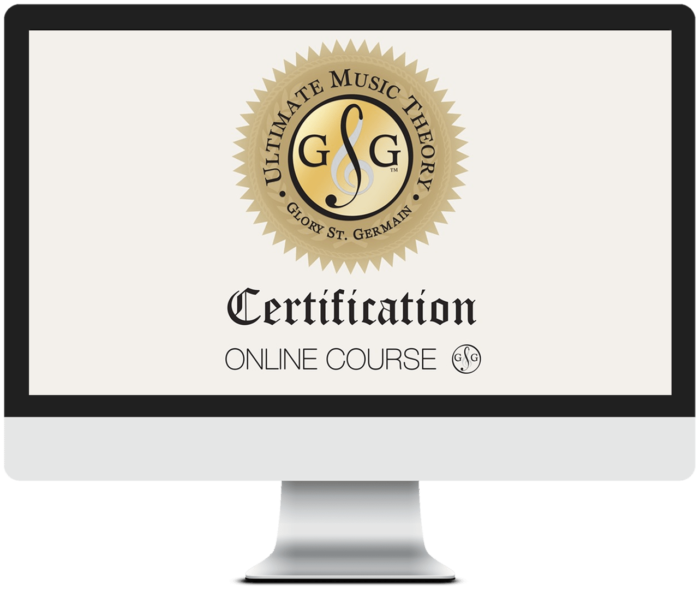 I know I've done Ultimate Music Theory professional development workshops for you at many of your locations and we've done that several times together. Not only was it great to meet with you in person and to actually see where are you putting these books but also to connect with the teachers and answer their questions one on one. We had many teachers that I met obviously joining the Ultimate Music Theory Certification Course and they continued to come back to Schmitt Music and be your customers but at least because we had an opportunity to connect they've now learned about the material. I'm sure that teachers are so grateful, Elliott, for you providing these incredible resources because it's very time-consuming. You've got to find the speakers, the presenters, prepare the space, get your dainties. I think you've got an amazing amount of free materials, you're very generous that way, to hand out and your lineup for the August 11th to the 18th at Schmitt Music Expo is phenomenal. Jennifer actually was my guest on one of my previous Ultimate Interviews. She is just a star. Her and I have connected many times. Also in Minnesota when we came down and did the music teacher's conference together. It's great because now you also have those friendships, right? Glory: One of the things that I think you and I chatted about a little bit earlier was in connecting with teachers what do you see as the one thing that's maybe missing from today's music studios? Elliott: Well, I think retailers and publishers and teacher associations all are faced with the same issue right now is where are the teachers that are under 40 years old? One of the things that we have started that I think will help, which I don't know if everybody has heard of this, but there is an International Sheet Music Day, which is the Saturday after our expo event. It's the third Saturday of August every year. This will be the third one. Elliott: International Sheet Music Day is kind of like Record Store Day for sheet music. We had some unique titles created that were only available at participating sheet music dealers. Things you aren't going to find on Amazon or anything like that. Elliott: Really interesting things. We had a Taylor Swift song, never before published, and it's got the International Sheet Music Day logo on it. Elliott: CF Peters in New York actually asked if they could participate and they did this little collection of American composers, limited edition. Things like that. I think even if you're not engaging with your local retailer on a regular basis events like this are things you can bring your students with and participate in. There's all kinds of activities you can do with your students for Sheet Music Day. Maybe a trip to the store to see sheet music and not just digital printouts. Things like that. Really interesting things. Glory: You know, as a teacher who is over 40, I certainly feel like I could open up my own sheet music store just because I have thousands of books and I never throw anything out. I love to go to my local retailer and just see what's new. Like you said, go through it. When you are talking about those younger teachers and I shared with you before we went live, I think it's important that teachers such as myself that are teaching students who are now advanced and are starting to teach and those students are all under 40, you're right. We need to embrace them and say, "Listen, maybe I need to go with you. Maybe we need to take our young teachers with us when we go to these events so that they can experience this" or even your advanced students because they may want to start teaching. There is almost that disconnect between, "Well, I'll just teach but I don't need to attend anything" thinking that you can teach as soon as you get to level eight in piano or something but that continued education is so important. I know for myself I'm always learning new things. Elliott and I met at the Retail Print Music Dealers Association, which is an incredible resource for connecting retailers and publishers and dealers so that we can all talk the same language because we're here ultimately to support teachers and musicians and vocalists, right? That just want to learn and see what's new and stay fresh. Elliott: Well, you know, the music community there's kind of another level to it. The retailers and publishers is really a small tight-knit community. I mean, I think a lot of people know each other and are familiar with each other. One thing that is really important as a retailer is that our local teachers are communicating to us what it is they use and what it is they're interested in. I think both adding an Ultimate Music Theory and Piano Pronto to our stores is a direct result of not only me meeting you and Jennifer but actually hearing from teachers and saying, "Hey, will you please carry Piano Pronto?" "Hey, can you get Glory in for an Ultimate Music Theory workshop?" Elliott: That's the feedback we need. I think it's kind of a multi-level community that we're all a part of. You know? Glory: Yeah. I think it's really key too, which is why of course I wanted you to be a guest here today, Elliott, is because it's so important to not only look online for music but to go into your local retailers, support them, because they are providing you with a print music specialist, they are providing you with education and to help you in your professional development. They're also giving you sweet deals on that music that you can go through it and there's always specials. Of course, if you're attending workshops there's usually some kind of either discount or free gift. It's really important to embrace that community. Not to mention the friends that you're going to make. When Jennifer and I did a workshop for you and we were back to back and it's really the first time that I got to meet her and since then our friendship has grown as well. I think it's really important to support your local retailer, go shopping. I want to invite our guests too to maybe in the chat just say do you shop at your local retailer? Just give us a yes or who is the closest one to you because we definitely want to support our retailers in our music community. I know there's a lot of young teachers. We've talked about that. Is there maybe one tip that you'd like to share in how we should take a next step towards our retailer? Elliott: I think workshops and events are kind of the key. I think if you're a teacher and you know some teachers that are younger and maybe have a lot of students but they haven't taken the time to join in an association or to participate in things like that, make sure they know, make sure they're on a mailing list for your local retailer. Make sure they know about a workshop or just go, "Hey, have you ever gone to the Schmitt Music Expo? It's really fun. You should come along." Elliott: We've been doing that for a really long time and it's really kind of a staple for a lot of teachers but I'm sure there are people who still don't know about it. Elliott: I think no matter what part of the country you're in or in Canada find out if there's something happening. Even if it's not somewhere you're going to go every week, that couple times a year you can get in there into the store and interact and find out what they're all about and find out who works there and do they perform locally? Do they teach locally? Elliott: They're all connected. Those are good hopping in points to get involved with your local retailers. Glory: Yeah. Absolutely. One of the things that Elliott and I have coming up together is I'm actually doing a special webinar and we'll put the link in here as well, which is the Five Most Powerful Teaching Techniques That Every Teacher Needs. This is just really professional development information webinar so that when you go into Schmitt Music or your local retailer you already have the background information from the author about what is the material about and how can I work through it? Then they can give you the followup information about where's the yellow book? Where's the blue book? I think in working hand in hand, whether you're providing resources via a live webinar or whether you're coming into the store you still need to go shop and look through the materials because it's one thing to kind of see the pictures online but it's another thing I think to actually look through the book and look at all of the resources and speak to that print music specialist who might even have another idea and say, "Hey, did you know about this?" I think that's a really important point. Of course, you are in seven states. You are busy, Elliott. Elliott: There's a lot to do. Glory: Yes. There's a lot to do. I want to say thank you to Elliott for joining me this morning and remember to check out your local retailer, go check out all the cool products that they have, what's new, connect with your print music specialist and if you just are browsing maybe ask, right? Perhaps you're not even aware that someone can help you find the resources that you're looking for and absolutely bring not only yourself but your students with you to see what's going on. There's all kinds of neat little things, especially now we're going into your upcoming Schmitt Music Expo, August the 11th to the 18th. You just got to go check everything out because it's going to be a blast. Elliott: Students are always welcome at Expo too. It's a free event. We'd love to have them. Glory: Yeah. That would be fantastic. Well, thank you so much. We're going to put some show notes in there. Thank you, Elliott Wessel from Schmitt Music. It's Schmitt Music dot com if you're looking for more information and we're also going to put the Expo notes in here as well so you can actually download that, check it out. Do they need to register, Elliott? I should ask that. Elliott: Yeah. We'll have those links up soon. I don't think they're up quite yet. Glory: Okay. All right. Then you've got to get registered and then you can go get all your really cool stuff from Schmitt Music and stay connected with your local community, which also includes your local retailer. Thank you, Elliott. I really appreciate you being here with me today. Elliott: Thanks, Glory. Have a good day.